How to install livechat in the Joomla? After logging in, from the control panel on the left, from the position Extensions select option Install Extensions. 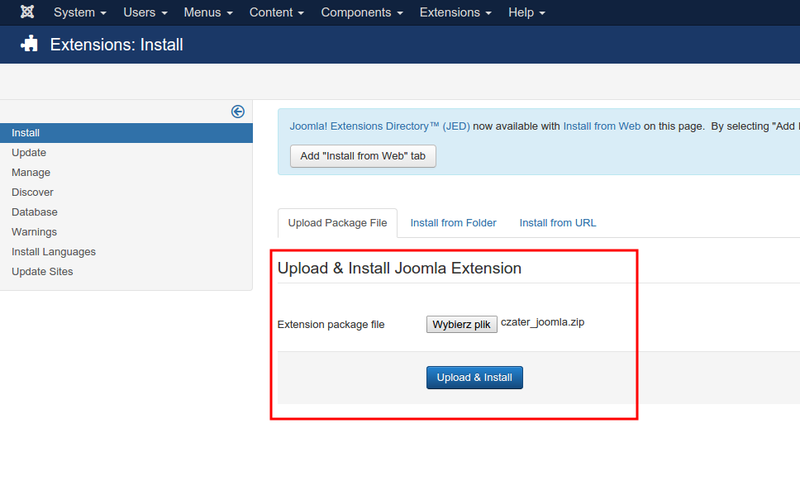 Then, in the section Upload & Install Joomla Extension choose from a disk file czater_joomla.zip and click on the button Upload & Install. 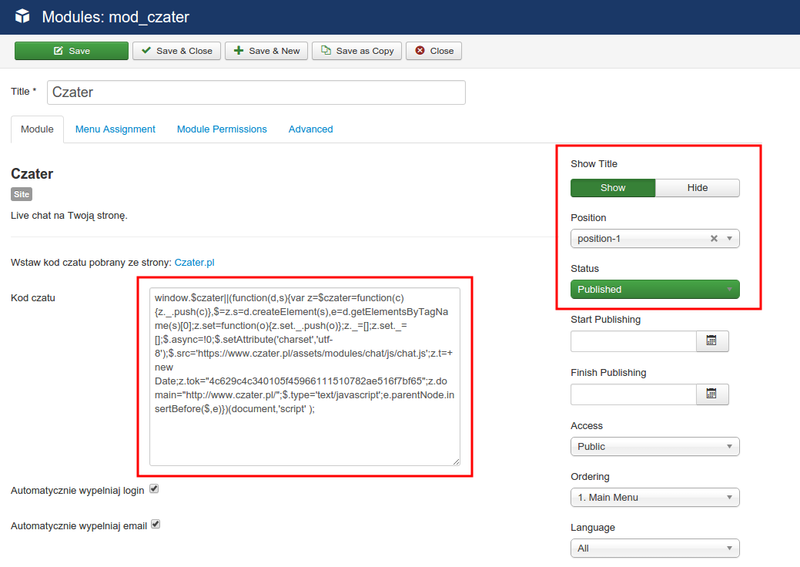 In the admin panel go to Modules and find the Chater plugin. Click on it. In configuration, in the chat code section paste your chat script taken from the chater. Then, in the right block set the chat position and select "Show" to display on the page. Then go to the Menu Assignment and set that the chat is supposed to display on all pages. Press the Save & Close button to save the changes.